That’s great and all, but kindness actually matters even when you aren’t learning about sharing the safety scissors. Kindness is not squishy, it is not boring, and it is not weak. Kindness has power. Hang on, I’ll explain. But first, a story about a comments section. The group, in this case, had more power, and the person was standing with others who had less. I’m sure you can hardly imagine this dynamic, but there you have it. People with power treating others badly. Okay. Friends. For one thing, there are no teams. We are the team. It’s all of us together. And for another thing, this is why the golden rule is not, “Do unto others what you suspect they might do to you if given the chance.” The golden rule is, in fact, kind of the opposite of that. It’s not, Retaliate real good. It’s not, Launch a preemptive verbal strike. It’s not, Attack and justify. Kindness is not graded on a curve. This is the wrong place to race to the bottom. “Well, I was still better than THEM—or at least I wasn’t much worse” is not a defense for unkind words or actions or anonymous comments. Neither is “you probably would have done the same.” Our best choices have nothing to do with anyone else’s behavior. At all. There’s a reason this golden rule thing has stuck around for generations. Treat others how you want to be treated is a better metric than Treat others how you think they deserve to be treated because they’re totally wrong and probably eat puppies for breakfast. But there’s a difference between pointing out a wrong, and attacking a person. There’s a difference between enlightening someone and belittling them. We all know this. And anyway, there’s a kind of upside-down power in choosing kindness. If we’re all trying to be just a little more venomous than the other side, we all end up drinking the same poison. But if, instead, we all respond by being a little bit BETTER than we expect others to be, we all get to move toward a healthier world. The internet makes it easy to imagine you’re just venting your feelings with no consequences, but that’s never true. Glennon Doyle says that if you’re not kind on the internet, you’re not kind. Do you know why she says that? It’s because if you’re not kind on the internet, you’re not kind. We are not second-graders, guys. We can disagree without the use of insulting memes. We can speak our disagreements with the voice of love. We know what love is like. Love is patient. Love is kind. Love doesn’t keep score. Love is not rule-keeping, love is people-tending. It’s not love that attacks. It’s fear. Fear whines, fear is sarcastic and biting and rude, fear makes fun of people, fear cuts people off and casts people out. Love looks for ways to transcend, to include, to move beyond the disagreement to find our common humanity. Even if you don’t think the other person “deserves” a loving response, how we respond to other people affects US at least as much as it affects THEM. You have to carry around those feelings that you’re putting out into the world. You have to live with what you say and do. 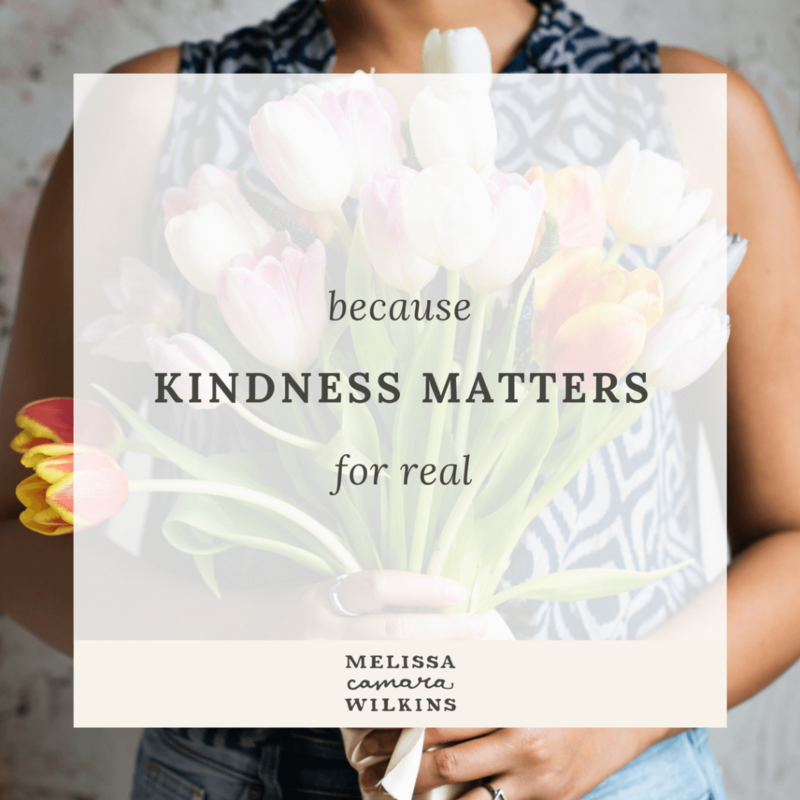 Responding to unkindness with unkindness just keeps the same wheels spinning, and we never get anywhere at all. That doesn’t mean you never get angry. That doesn’t mean you don’t call out oppression or injustice or unkindness where you see it. That doesn’t mean you can’t raise another point of view. You can, and you should. You should object with creativity and conviction and heart. But let’s do that in ways we can be proud of. Be kind on the internet. Be kind across the table. Be kind because you are a beloved human being—and so is the person you disagree with. Ready to make life simpler—on the inside? It starts with listening to your inner voice and getting comfortable with who you really are. Let’s find THAT you again. 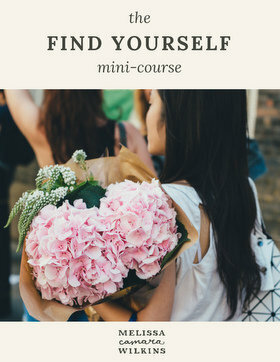 Sign up for email updates from Melissa, and get instant access to the Find Yourself mini-course.